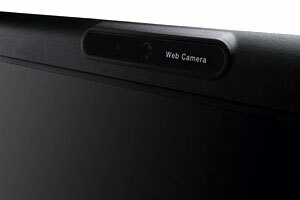 Toshiba bietet mit dem Satellite Pro U400 nicht nur ein preisgünstiges Notebook im Aktentaschenformat an, sondern zeigt, dass auch vollwertige Mobilrechner bezahlbar sein können. Toshibas Satellite Pro U400 drängt sich geradezu auf, wenn ein preiswertes Notebook mit professioneller Ausstattung gesucht wird, mit dem man das Reisegepäck nicht über Gebühr belastet. 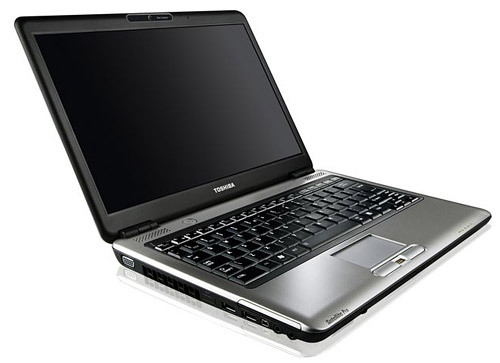 Das Toshiba Satellite Pro U400 ist ein günstiger Kompromiss zwischen einem Unterwegs-Laptop und einem Notebook für den Schreibtisch. Trotz des Betriebssystems Vista Business ist es aber nicht uneingeschränkt für Geschäftanwender zu empfehlen. Auch eine etwas längere Akkulaufzeit würde gut zu dem Leichtgewicht passen. 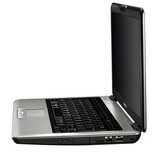 Toshiba Satellite Pro U400 13,3"
The Toshiba Satellite Pro U400-13A is a well-made, affordable and usable laptop for the daily commute. Its limited performance and battery life make it less suitable for professional mobile use, but for basic daily tasks at home or when travelling, there's plenty to recommend it. 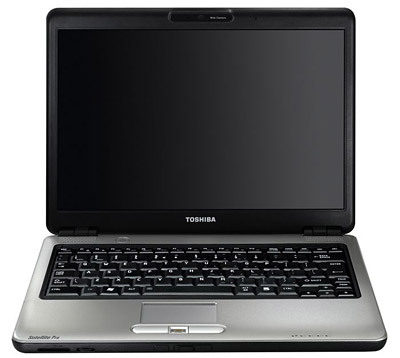 The otherwise straightforward Toshiba Satellite Pro U400-S1001X offers a unique configuration, pairing a current-generation Penryn CPU with a previous-generation operating system. Double down on the memory and the 13-inch Toshiba Satellite U400-S1001X becomes a well-rounded laptop that will withstand the rigors of business travel. Although the Toshiba Satellite Pro U400-IOH can't match the performance some other laptops, the reasonable price, sturdy chassis and usable design make this a sensible option for business users on a budget. The Toshiba Satellite Pro U400 is an affordable notebook that offers good performance for the price. Battery life is poor and the use of Windows Vista Basic limits its appeal. However, we liked the quality of the keyboard and overall usability of this machine places it well above average. 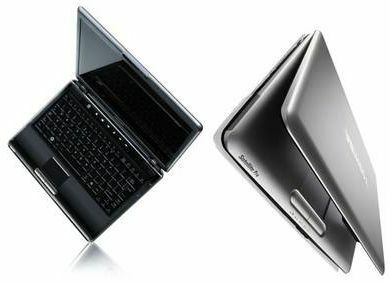 Choosing a suitable laptop with which to outfit a small business is an important decision if you're an entrepreneur. 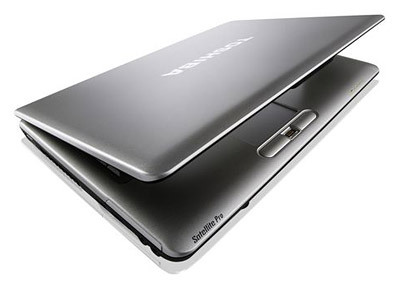 If enterprise laptops are way over your budget and consumer laptops are not professional enough, a small-business laptop like the Toshiba Satellite Pro U400-S1001X is a viable, in-between selection. The Toshiba Satellite Pro U400-S1001X is a lightweight laptop that offers business-essential performance and a no-bloatware option. 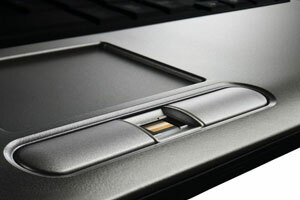 This past week we’ve been able to take a closer look and get a hands-on with the Toshiba Satellite Pro U400. Having already shown you the unboxing, it was time to see just how usable the U400 was in practice. We had high hopes for portability, and we weren’t disappointed; this small laptop hasn’t been hard to carry around, weighing only 4.6lbs. I liked being able to navigate easily through Windows XP as opposed to Vista (Toshiba provide downgrade media at no extra cost), which many still find a frustrating (and resource-hungry) change. 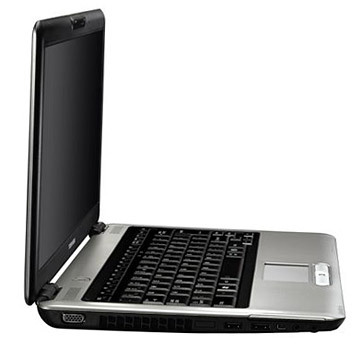 The Toshiba Satellite U400 gives business users a solid feature list and moderate performance, but did not do as well as the nearly identical configured Satellite U405 we previously reviewed using Vista instead of XP. Performance across the board was less in every test we performed, with the only configuration difference between increased RAM on the Vista model. The other downside to this configuration is the paint finish which doesn't hold up as well as the Fusion finish on the consumer line, evident by the scuff marks already found on our review sample. If you were looking to purchase this notebook, I might direct you to a Vista configuration of the business U400, or the consumer U405 entirely for the better Fusion finish. Overall I enjoyed my time with the Satellite Pro D400, especially because it is hard to find a laptop that is able to keep up with my ADD brain and constant multitasking! 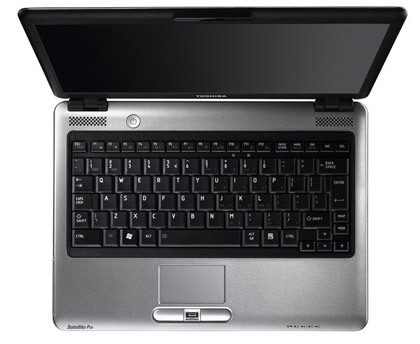 The Pro U400 will probably leave most home users relatively cold, but business customers (or anybody wanting a solid, XP-based option) will find the notebook, with its sturdy keyboard and average spec sheet, a suitable companion. 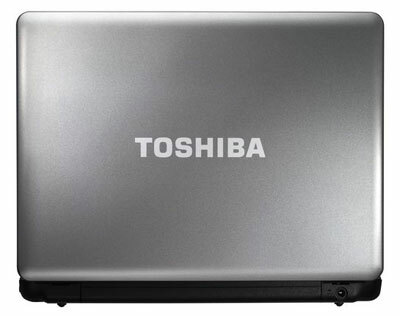 The Toshiba Satellite Pro U400 is available now, priced from $1,049.99.